Sonic Mania was revealed last year with two zones: an old one (Green Hill) and a new one (Studiopolis). Some people were curious/concerned about what the ratio would be between revisited zones and completely original zones. Well, suffice to say, the majority of levels here are of the old variety, borrowed from all the original Genesis entries, with only a handful of totally new ones. This may sound disappointing to some. However, the classic zones have been heavily remixed, to the point of feeling (and pretty much being) completely new. There are aspects here and there that will make you say "hey I remember this part", but more often you'll probably think "I wasn't expecting that." Levels evolve as they progress with things like new backdrops and new gimmicks. For example, act 2 of Chemical Plant contains bouncy vats of gelatin that can be made bouncier by injecting them with chemicals. Bosses are also completely original and can be quite clever. At times it almost feels like a puzzle game, pondering what needs to be done to damage it all while staying on your toes. The level designs are masterfully crafted and a far cry from other 2D entries in the series released in the last decade or so. No deluge of bottomless pits to careen into after a speed section without warning. No over-reliance on copy-pasted assets to form a generic level with no identifiable design landmarks to help you remember just where in the stage you actually are. Plus a physics system that actually makes sense and feels nearly identical to the original classics. The music is jazzy and bombastic, like something that could only be produced between '94 and '96. It really captures the spirit of those smooth electronic soundtracks for CD-based games in the mid-90s. Unfortunately the soundtrack hasn't gotten a solo release yet. The sprites are gorgeously detailed, the animations are very fluid, and the color direction makes the game just pop off the screen. This absolutely feels like the lost Saturn Sonic entry we never got. Of course, if this game had actually been released in, say, 1997, it probably would have been dragged by critics just for being 2D in an era where 3D was the hot new thing. In 2017, however, it's a breath of fresh air. Special stages use the giant ring system from S3&K. These rings can be very well hidden, so chances are you're not just gonna run into them without going off the beaten path. 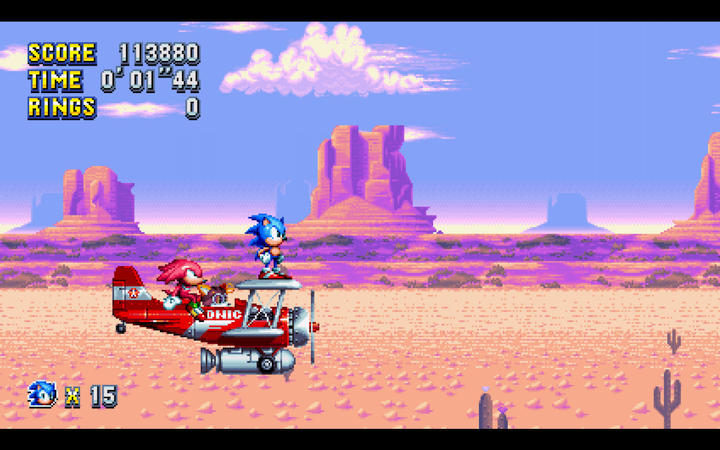 Naturally, Tails is still the most adept at finding them, what with his free flight and all. 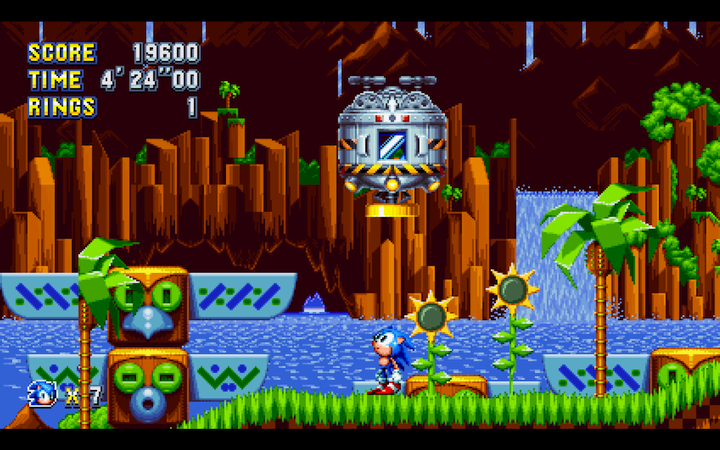 The special stages themselves are clearly inspired by Sonic CD at a glance. However, the team here have created something totally unique with a surprising amount of depth. 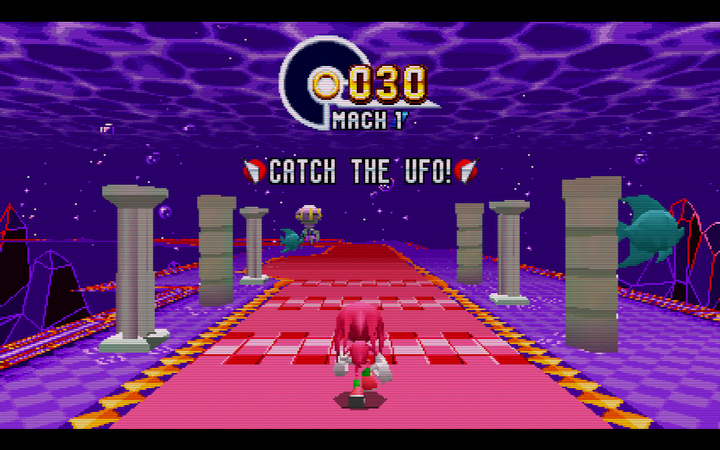 Players have to pursue a fleeing UFO while their rings counter ticks down. Collecting blue spheres increases your speed, while rings boost your ever dwindling supply. Spheres respawn with each lap around the track, while rings do not. Often players need to make a snap judgement on whether to go for the spheres or the rings at any given time -- compare the status of the ring counter and the distance from the UFO. And there doesn't seem to be much in the way of rubber-banding here, so the UFO can get quite far ahead if you're not optimizing your path. With more speed Sonic picks up, the more unruly he controls. Add some mines, pits, and item boxes and things can get pretty hectic. Visually, the special stages look straight out of the Saturn era. Pixelated, low-poly models... even a short draw distance. You'll even see the doves and fish from the backgrounds of the first game's special stages. They're way past cool. Y'know what's not way past cool, though? Denuvo. 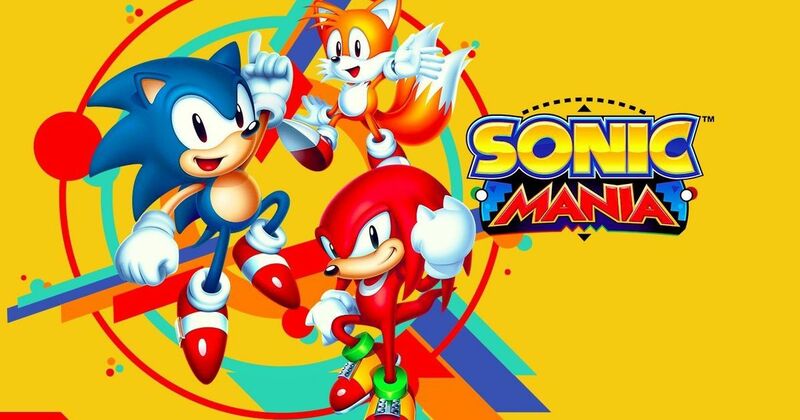 Denuvo is a controversial DRM service that heavily restricts what you're capable of doing with your game... and it's in the PC version of Sonic Mania. For one thing, an online connection is virtually required to play, even though the game doesn't really have much in the way of online features. It's been made pretty clear the decision to include this came from someone at the top, against the developers wishes. 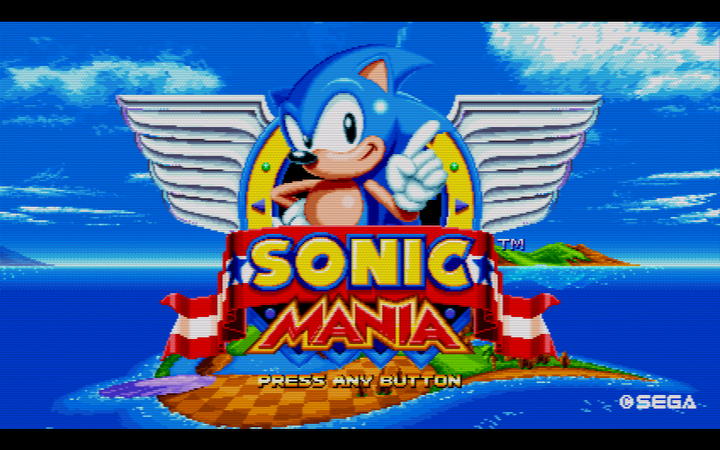 Despite all that, Sonic Mania is highly recommended for classic fans and newbies alike. Plenty of unlockable modes and features make this a wholesome, well-rounded package. But if you're on the fence about which version to get, you may wanna stick with a console version considering the DRM situation above.